In memory of Rabbi Pinchas Hoffenberg, murdered in the Šiauliai Ghetto. Western society places a premium on the acquisition of wisdom, strength, and wealth and it is a fundamental goal of the individual. Judaism too, values those who possess these attributes. Yet there appears to be a world of difference between Judaism and the West in terms of definitions, as is clear from the principles taught in Mishnah, in Pirkei Avot (Ethics of the Fathers). In Chapter 4:1, Ben Zoma says: “Who is considered wise? One who learns from everyone. Who is mighty? One who controls their (evil) inclinations. Who is rich? One who is happy with their portion.” Each of these answers is accompanied by a verse which serves to illustrate the point. The Maharal raises a number of questions regarding the answers given by the Mishnah. Firstly, why don’t we define wisdom more simply, namely as a person who possesses significant amounts of knowledge, especially of Torah? Secondly, whilst a person who is happy with their lot can be considered rich (given that they are satisfied with how much they have), the Mishnah implies that only this type of individual is considered rich, to the exclusion of any others. This is difficult, both intuitively, and in light of the Gemara (Shabbat 25b), which teaches that one who has 100 wheat fields, vineyards, and servants (diversified assets and a qualified supply of labour) is considered a rich person, seemingly linking assets to the definition of wealth. Finally, the Maharal questions, what is the underlying connection between these three attributes – beyond the fact that they are much sought after? Rabbi Karlinsky is co-founder and Dean of the Darche Noam Institutions, Yeshivat Darche Noam/David Shapell College and the Midreshet Rachel v’Chaya College of Jewish Studies for Women. His reputation as an expert educator is a reflection of both his academic training and his motivational personality. Through his direct approach of questioning students and forcing them to question themselves, he has succeeded in awakening inquiring minds for Torah study throughout the years. 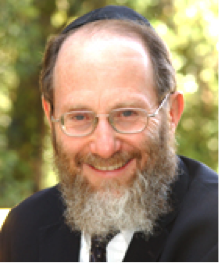 A Los Angeles native, Rabbi Karlinsky studied at UCLA before going to Israel in 1968, to study at Yeshivat Kerem B’Yavneh and the Mir Yeshiva. After receiving smicha from ITRI, he completed a Master’s degree in educational psychology at Philadelphia’s Temple University and returned to Israel in 1975. His “eye” for connecting with students on their individual levels and his ability to see straight to the core of issues can be partially attributed to skills gained from his work as a widely published photojournalist. However, the Haganah miscalculated the effects of the explosion and the bomb sank the ship in less than 16 minutes, trapping hundreds in the hold. 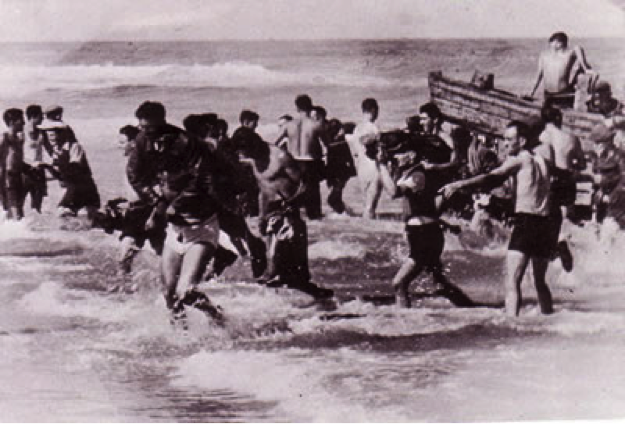 The British allowed the survivors to remain in Palestine on humanitarian grounds. Who was responsible and the true reason why the Patria sank remained controversial mysteries until 1957, when Munya Mardor, the person who planted the bomb, published a book about his experiences. 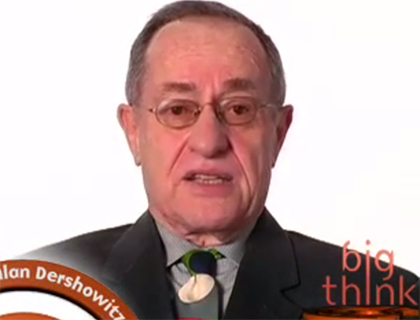 Alan Dershowitz speaks about growing up Jewish in war-time America.